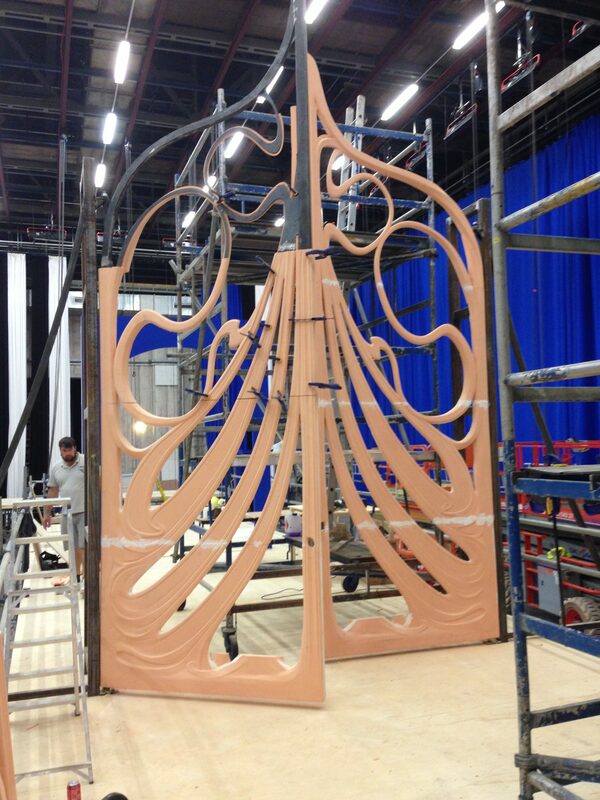 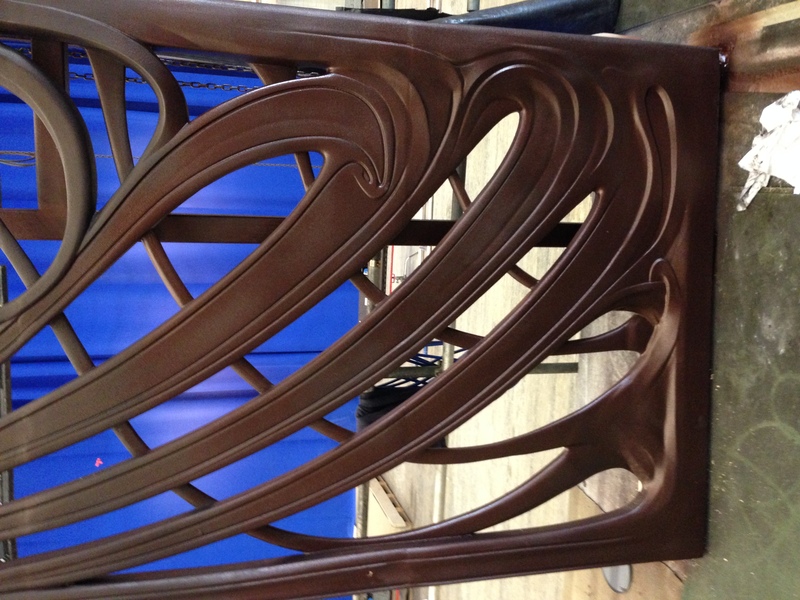 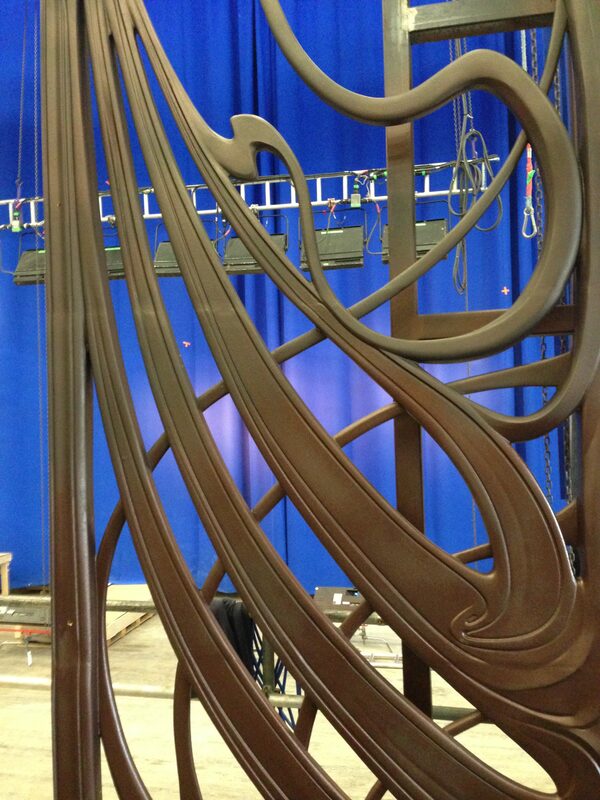 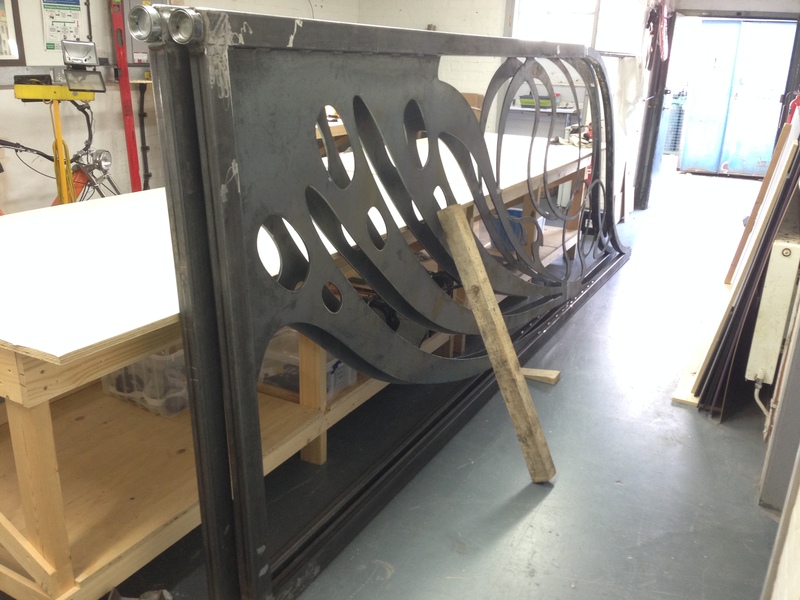 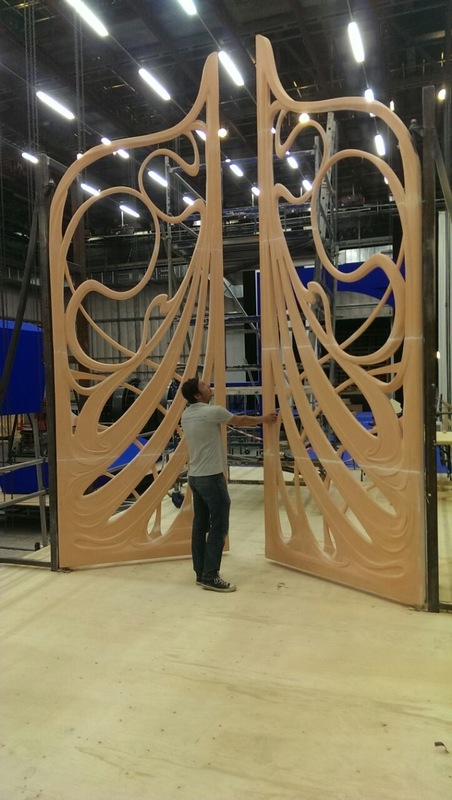 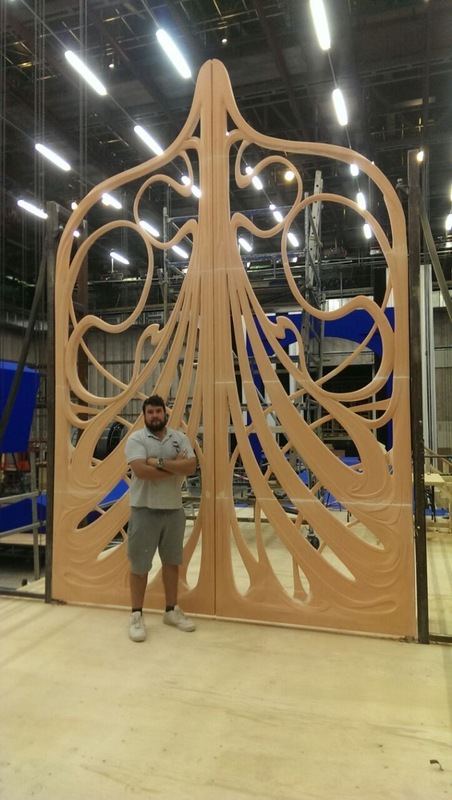 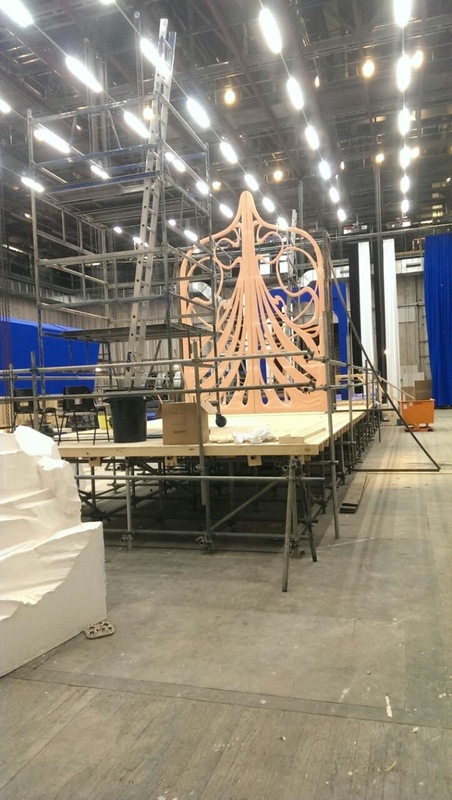 This is a working gate we created for the film Alice in Wonderland “Through the Looking Glass”. 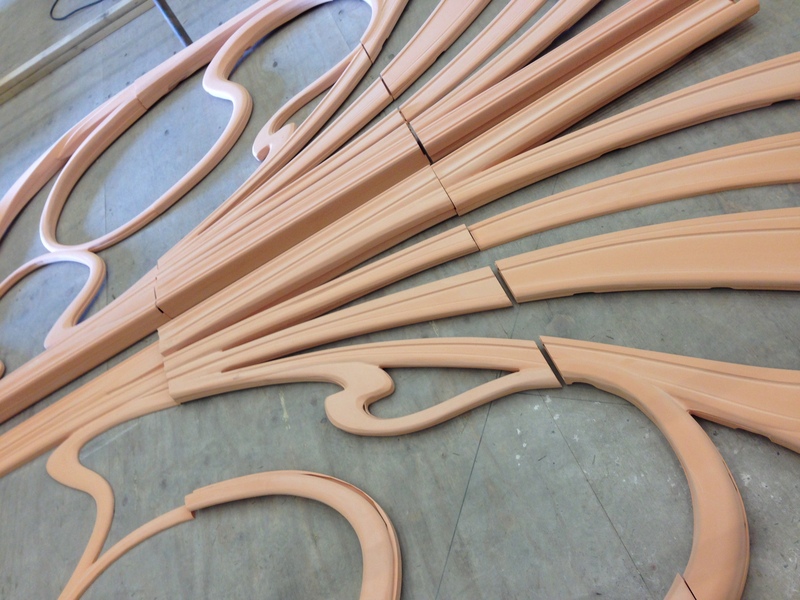 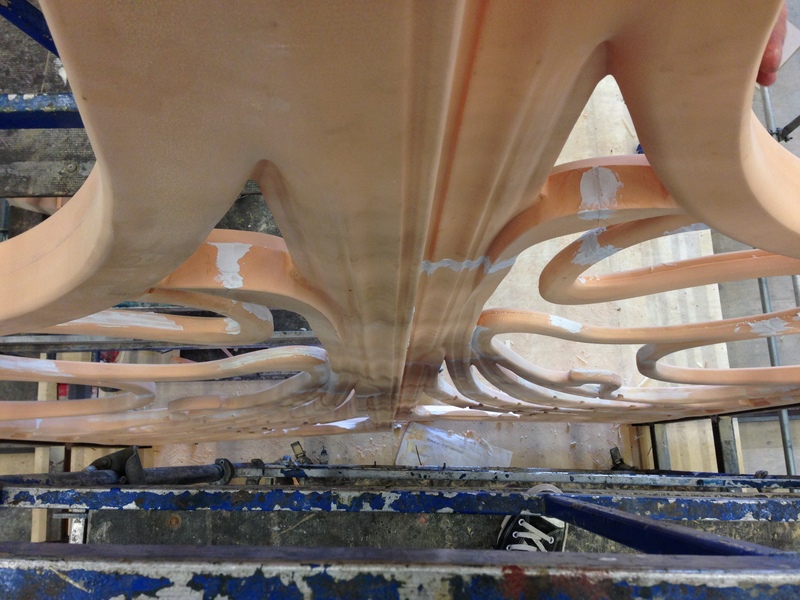 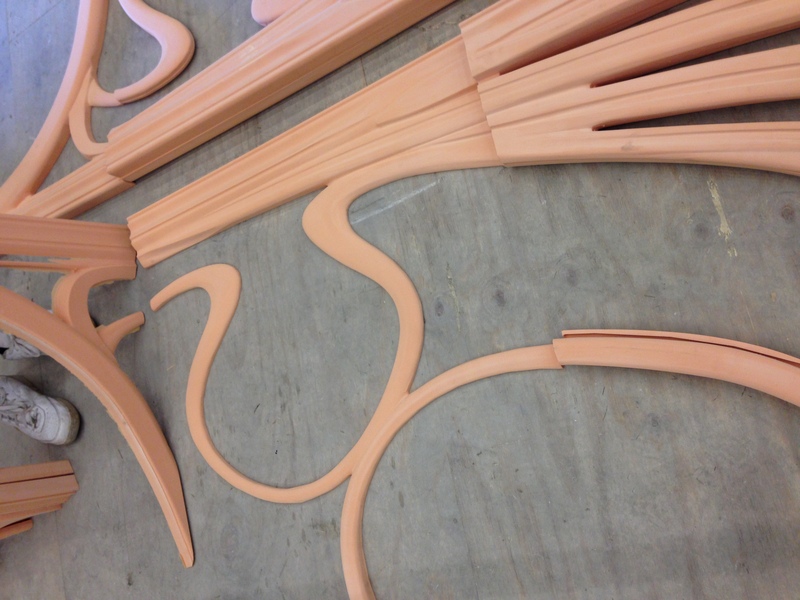 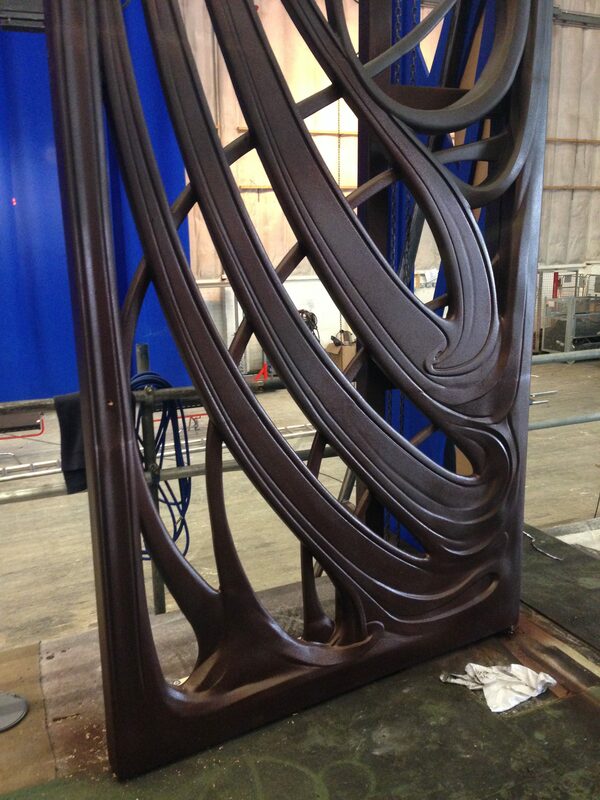 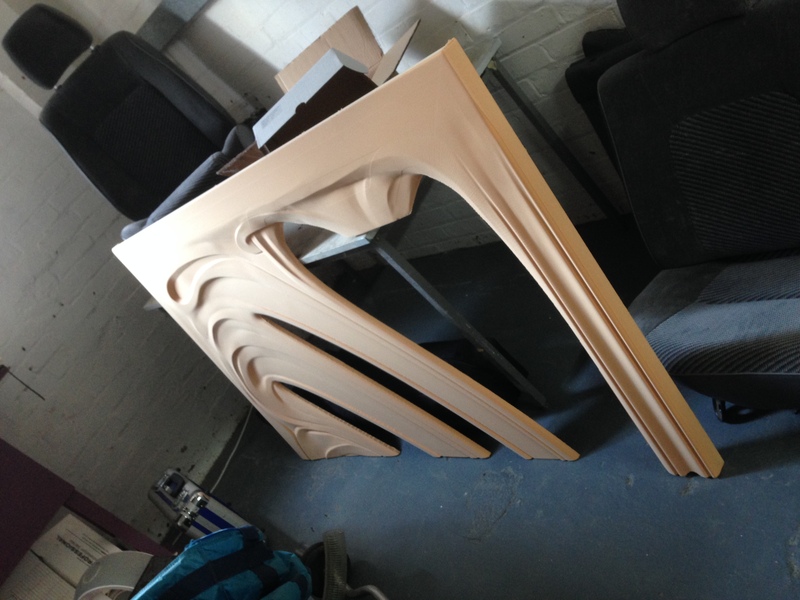 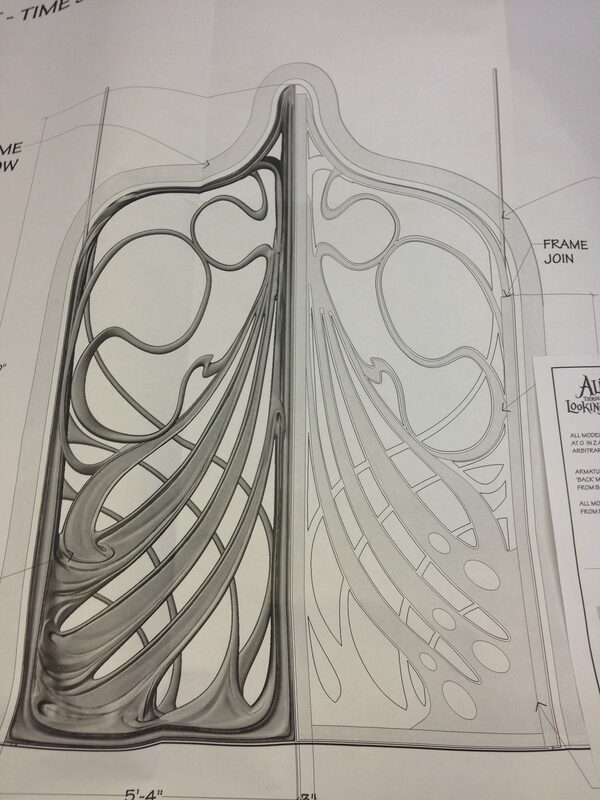 We CNC cut resin panels on both sides, one side for the armature and the other for the design. 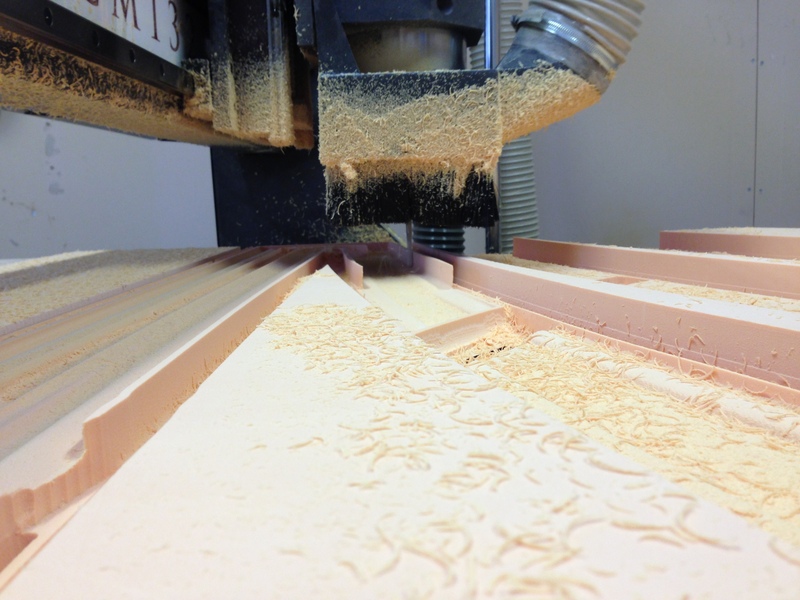 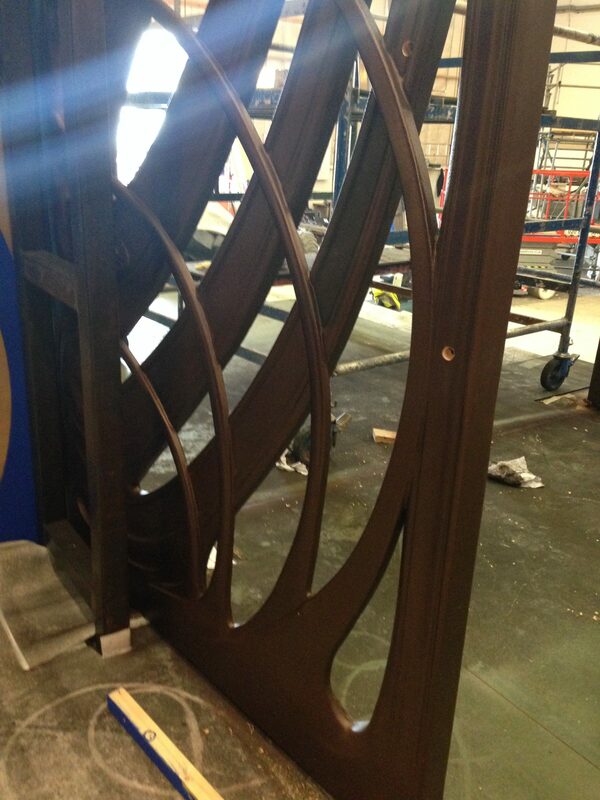 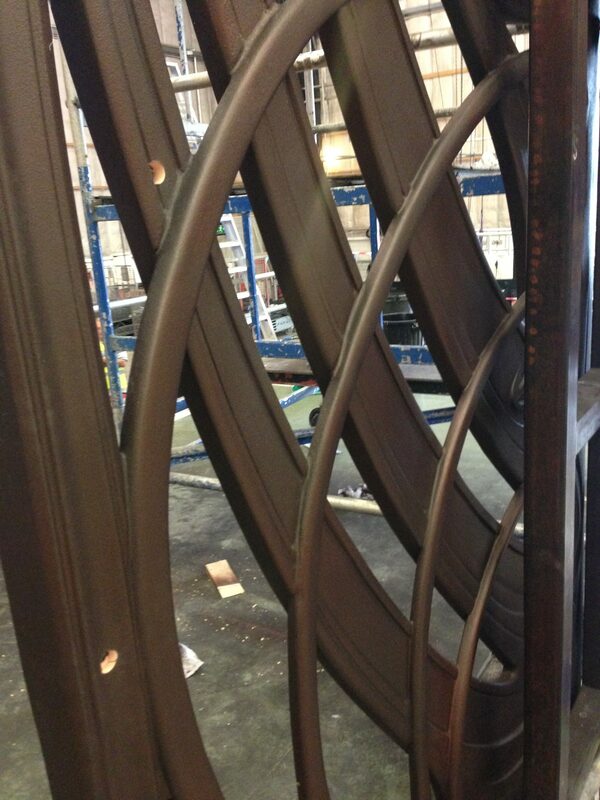 Each panel took over a day to cut on our CNC machine using a variety of different tools. 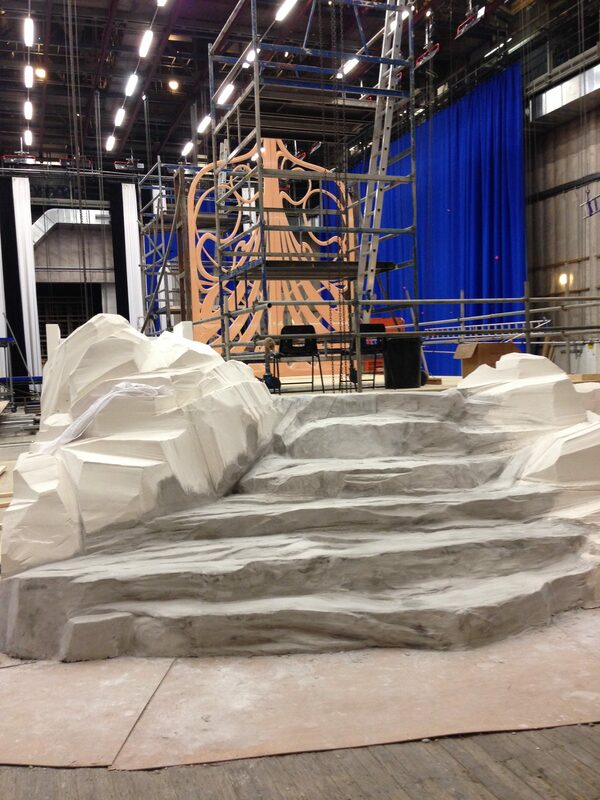 In the photos you can see the various components and stages of cutting and construction. 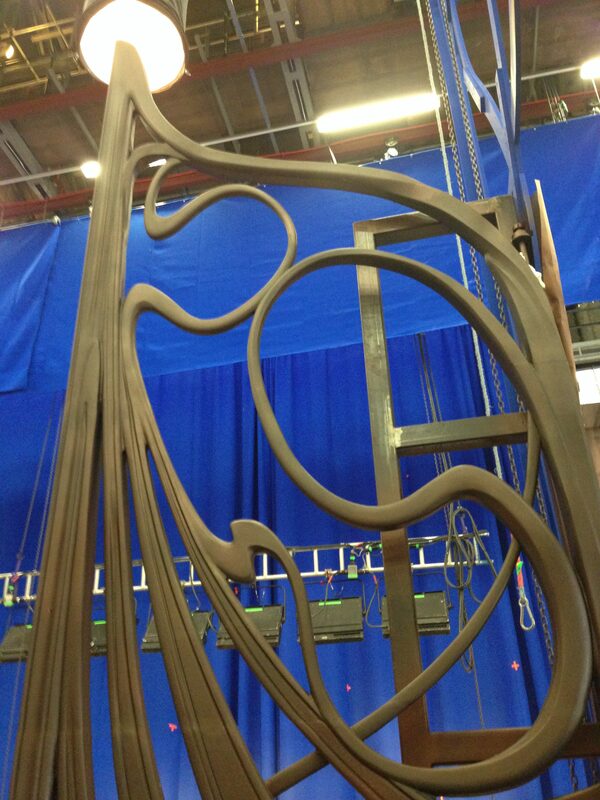 We were on set for 4 days assembling the gate from the sections that we had cut. 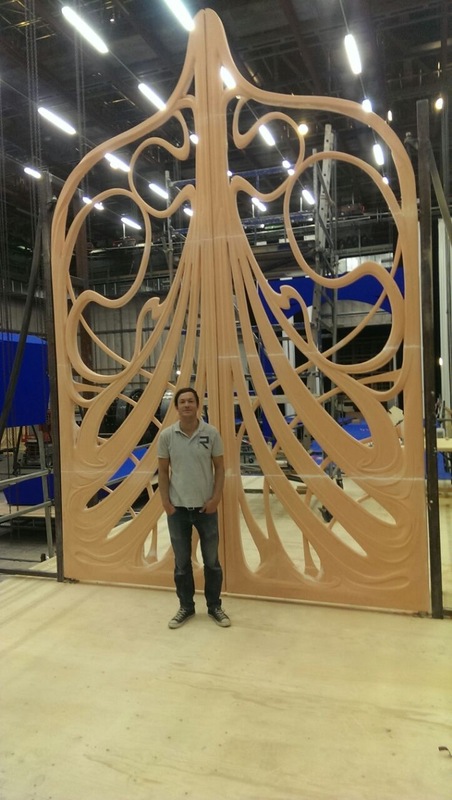 This gate was huge! 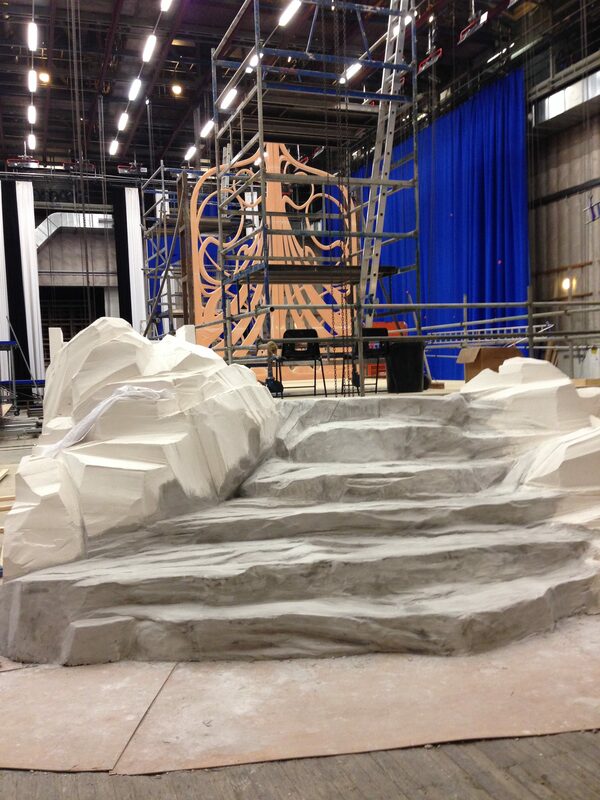 You can get an idea of the scale from the photos with us in.